That is a gorgeous cheese plate right there! 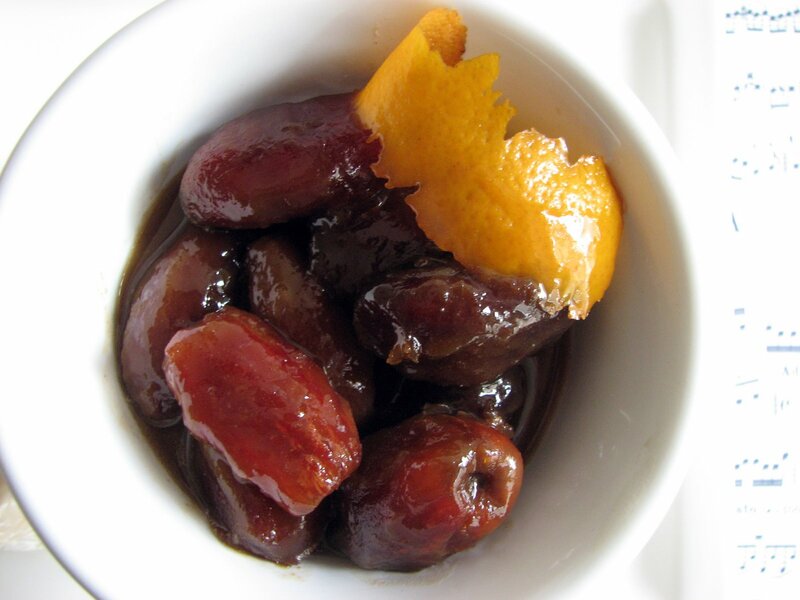 I don't enjoy dates but I imagine they'd make for a great combination with the cheese...and maybe I would enjoy them roasted like that! Thanks for this. Now that seems like a great pairing. 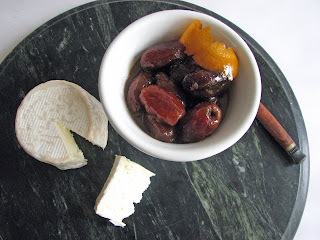 I've had a lotta dates all my life, but never sherry drunken :) sounds yum! Thanks for the history on Medjool dates there...I have a box sitting right here, and now I'll savor them even more. Rainwater Madeira sounds like the name of the lead singer of a Country Band. 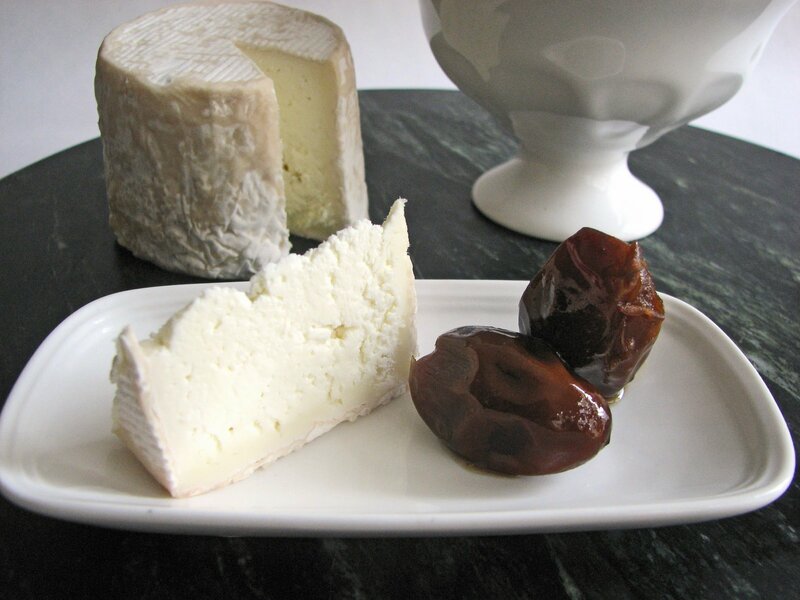 Dates are divine, and I look forward to tasing some of those fine Andante cheeses one day. Hello pastry peeps! I was also a person who never gravitated toward dates. But after having worked with them a bit at a couple of restaurants, I discovered there are some really interesting ways to temper their uber sweetness. Rainwater Madeira actually derives from the days when the shipments of this wine were left out on the beaches awaiting transport and the barrels would absorb the rain. This created a more diluted alcohol content. But I hear ya on the lead singer thing! I've been enjoying every little bit of your knowledge which is ever so abundant and amazing. Thanks for this great blog - you are the best! Hey, thanks for stopping by! Are you by any chance the Kika of http://www.kikastreats.com/ ??!!! Wow, glad to hear Bi-Rite is carrying Andante. I love that place. 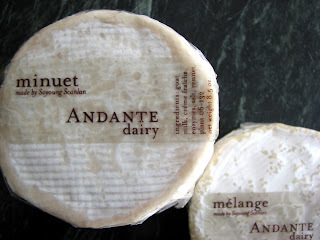 I found these cheeses at the Franklin Street Whole Foods, but their selection was small. Be sure to ask. Otherwise, you may have to try the Farmer's Market. But then you'll get to meet Soyoung. Unfortunately, Whole Foods on Potrero doesn't carry them. I'll definitely look for them at the Ferry Building! Hey Kika! How are you doing? Talked to an old co-worker of ours the other day. Seems like such a long time ago! Hope all is well.